Like millions of people, Fran Burns and his family enjoy Walt Disney World’s Magic Kingdom. 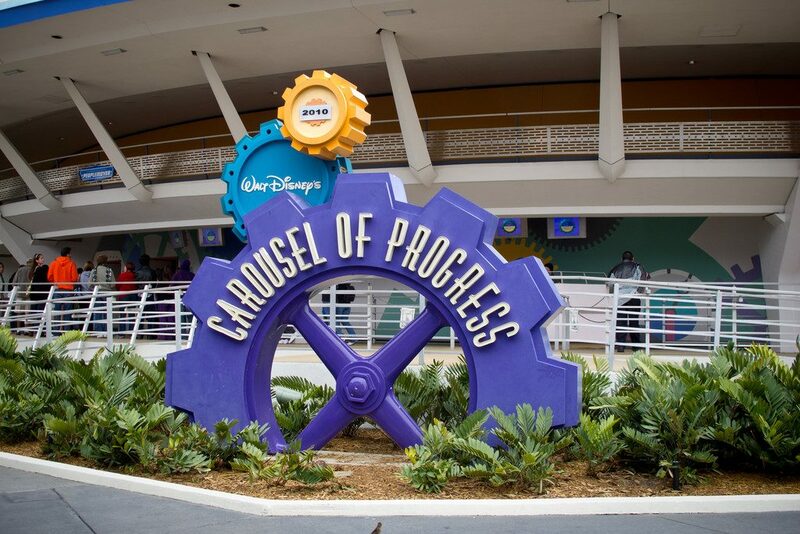 But there is one ride that throws them for a loop, Walt Disney’s Carousel of Progress. The ride features a “typical,” albeit robotic American family that explains life in the future highlighting technological innovations. In the latest installment of NETFORCE – a series exploring how top performers are navigating today’s chaotic business environment to realize their true net force and accelerate forward – Burns dives into the drivers, challenges, and keys to building and motivating the team in SC&H’s Business Performance Management consulting practice. What’s your definition of an organization that is leaving a true net impact on others? It’s an organization that is forward-looking, proactively adaptive, and constantly informed to help guide new clients, while also being one that is focused on the now. We as human beings tend to look too far ahead without being in the now. Being in the now means being engaged with our clients, listening to them, caring about them, and focusing on them right here, right now. Accelerating forward requires adopting a strategy that is oftentimes more similar to what Apple did. Of course, Apple didn’t invent the smartphone; they just made it markedly better and more accessible. A firm providing a true net force is one that is not just blindly plowing ahead and jumping all over the new technology and being enamored with it; it’s about being thoughtful and forward-looking and considering all options while, at the same time, being nimble and timely and to stay ahead. It is almost like we have to pause and not get distracted by the word “future” and go back to the now. When we talk about the future, we often get distracted by the tools and technology that function as shiny new toys. I think to accelerate forward requires staying true to what has made us successful thus far and also realizes that human beings are a critical part of the equation no matter what it is we do and what technology is involved. It sounds like you are talking about the importance of the human touch. Is that still a key aspect of SC&H’s business? Without a doubt. As an organization, we see a bigger opportunity to make sure our clients understand that through our efforts, the common denominator is indeed the human factor, the empathetic factor, the thoughtful factor – the intelligent care that goes into advising our clients no matter in what capacity we do that. What exactly does your BPM practice do? Fundamentally, we help leaders of organizations understand what recently happened financially, how to explain those results to stakeholders, banks, and Wall Street analysts, and most importantly, how more accurate predictability and insight will affect the business in the short- and long-term. It all comes down to helping our clients ably and proactively manage their businesses to maximize the opportunities for positive results. How does BPM change in five to 10 years? Where do you see opportunities? We aspire to be double our size in five years – both in revenue and personnel. If you are not growing, you are not affording opportunities to high-performing professionals to grow and develop in their career, and at all stages in their career. It’s difficult to say how we will look in 5-10 years, but I know we’re going to grow. I’ve found that when we focus on doing the right thing by our clients and our people, it’s amazing how the rest takes care of itself. And, doing the right thing in BPM is building a culture and environment where people feel cared about, mentored, coached and challenged, but also validated. Validation is essential and can take on many different forms, and it is most often the key element in each professional’s career fulfillment and commitment to the organization. I expect that we will smartly embrace new market opportunities – including broader geographic market coverage and the spectrum of services provided to a client. And when we continue to do the right things, we will grow and capture more market opportunities. When your people feel validated and part of a team, great client results happen, great team results happen, and word continues to spread about our positive impact, both with our clients and our people. When all is said and done, it’s about setting the bar high in everything that we do – whether it’s in the day-to-day client service activities or aspiring in the pursuit of our strategic plan for sustained long-term growth. Being aspirational is a very important thing, and while it can create a little bit of discomfort and anxiety, it more often drives each of us to do that “one more thing” every week, and that “one more thing” more often than not equates to some activity that translates into substantive growth. Aspiring underpins all of the activities when I speak about “doing the right thing.” Aspiring always leads to accomplishments and performance beyond the norm. Do you see demand for BPM’s services continuing to accelerate? I’ve been fortunate to spend the majority of my 25-year career in management consulting, and I have seen consistent patterns in how companies manage their financial reporting, accounting close and planning processes. I see many companies investing millions and millions of dollars in software designed to replace Excel only to go right back to Excel as the linchpin in broken processes. The dedicated personnel at these companies frequently work extremely long hours in the weeks before an earnings call to provide the core financial figures to the CEO and CFO, so that those executives can explain to the company’s stakeholders the company’s performance. As our world grows, the economy grows and as more companies get more complex, the underlying processes around planning, consolidation and financial reporting get exponentially more complicated, and the market will continue to grow for our services. On top of the complexity, we’re seeing customer expectations accelerate at an unprecedented pace, and the desire for instant information access and gratification is only going to accelerate the demand for our consulting services. Ultimately, we deliver peace of mind to our clients. Every human being needs peace of mind across the various elements in their lives, and that extends to their work lives and not just personally. With every client, we have a unique ability to connect in a true relationship that leads to enhanced peace of mind. How do you see technology, AI, and software influencing your practice? Let’s be clear: AI is not going to change how we serve our clients, how we function as a team, or how we interact with each other. But, changing technology will influence what we use to serve our clients, what we use to function as a team, and what is leveraged to facilitate our collaboration amongst and between ourselves and our clients. I expect that we will become the technical authority in relevant emerging technologies like AI, and we will lead our clients in their adoption of systems supporting improved business processes – we certainly see this as an opportunity for true net impact. Oracle is already putting AI and machine learning into its software, and we will be at the forefront of translating how it works and applying it to our clients’ needs. How do you distinguish between reality and fad? My colleague, Greg Horning, talks about being on the leading edge versus the bleeding edge, and I think this perfectly encapsulates my philosophy on emerging technologies and making sense of what is a trend and not merely a temporary fad. We are principled in our pragmatism and thoughtfulness in our adoption of new practices and technology – we don’t want to be so far out in front that we’re first, but we also don’t want to wait so long that we’re last. Patience, thoughtfulness and diligence helps us get to the right answer in the right time. What are some of the pitfalls you work to avoid? The bigger we get, the more things have a chance to slip through the cracks. Many organizations face that as they grow and sometimes, they lose what made them special and strong in the first place. As long as we continue to grow aggressively, but smartly, and remain true to our set of core values – how we serve our clients, how we mentor and serve each other with accountability – I am confident that we are well equipped to navigate the inevitable pitfalls that challenge any growing organization. This confidence comes from the level of communication and collaboration we promote across the BPM practice. Keeping team members informed of the state of the business, sharing client stories and practical best practices, and importantly devoting the time to dedicate to effective mentoring and decisive resolution of any issues – all of these thoughtful activities help to mitigate potential pitfalls before they even develop. From an external perspective, technology shifts now happen several times during the year, and our business can be impacted by external variables such as demand for the Oracle products that complement our consulting services. To avoid a potential negative impact from these constant changes, the leaders in the BPM practice maintain aspirational and innovative targets that focus on recognizing and acting on potential business opportunities and risks that impact the overall performance of SC&H. What edge do the products you implement, together with the services you provide, give you in the market and to your clients? SC&H’s edge is rooted in caring for our clients and making sure we drive a process that sets them up for success. What is your process and how is it changing? It is not changing at all. In my mind, the more things change the more they stay the same. And that’s actually a good thing. If I reflect on how we serve our clients, work as a team, and collaborate, we distinguish ourselves by being consistent in the constant care for the client. That care for the client never changes. The only thing that has changed is that some of our clients have grown a lot larger, our engagement teams are larger, and how we work together can be different. But how do we serve our clients? How do we keep them on point? How do we deliver results to them? None of that has changed. For technical talent, we still focus on recruiting high-performers degreed in accounting or finance majors. You need those foundational years of schooling to be grounded in the accounting and finance principles, to apply the principles to the business processes regarding how companies report and plan their financial results. And then there are the intangibles that we look for, such as the folks that are the self-starters, that welcome a challenge, people that aren’t complacent, and the ones who are always interested to do more. Any person that fits this profile is our ideal candidate. Your practice is known for developing and motivating new recruits, and its palpable team spirit – tell us more about the impact this has had on BPM’s growth. We have always cherished our team camaraderie, cultivated it and rewarded it, and you often see it during our regularly scheduled practice-wide team meetings. It is a joy to witness others embrace growth opportunities in their careers and achieve, and our team meetings often serve as a platform for our team members to share and present learning opportunities to the rest of the team. With all the focus on training and preparing for the future, do you believe SC&H is a firm making a true net impact on its clients? Absolutely. We maintain a continuous focus and commitment on making a positive impact on our clients, colleagues, and our communities – key tenets of our mission statement. How do we make people understand it’s more than words on paper? 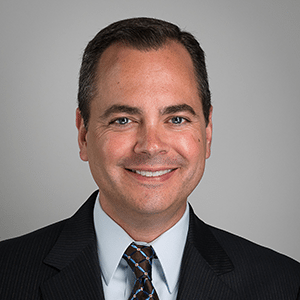 Among the top 100 CPA firms in the country, I would say there are very few other firms who are similar in nature to how we treat our people, how we serve our clients, and just how we fundamentally care. Our combination of real intelligence, commitment to excellence, devotion to our clients, and focus on our teammates altogether differentiates us from all others. Taking on today’s chaotic business environment and exploring how top performers are positioned to embrace the changing business climate, and continue to adapt, evolve, and compete – to realize their true net force and accelerate forward. Being a force is about how we better guide our clients, and to be thinkers with foresight helping them determine what tomorrow is going to bring. Everything is going to change. We need to be right behind that heat shield of the spaceship. We have a very intellectually curious group and we’re not afraid to ask (and answer) the question of what’s next – for our clients, colleagues and communities. Newton’s Second Law of Motion isn’t an abstract theory that exists solely in minds of physics professors. It is a principle that powerfully influences everything everywhere, including businesses in every industry. In SC&H Group’s thought leadership series, “NETFORCE”, we examine how this law applies to business, and the changes occurring amid an uncertain future. The concept is relatively simple. The acceleration of an object, such as a company, is dependent on two variables: the net force acting upon the object, or company, and the mass of the object, or its current proven practices. What is not simple is recognizing, understanding, and harnessing all that contributes to the net force that’s influencing the trajectory of the organization and the ability to make a positive, lasting impact. In these times of unprecedented change, businesses are encountering many forces and must make informed decisions about when to resist in the name of proven practices and when to allow external forces to whisk them forward. To truly thrive rather than merely survive, it’s critical to be surrounded by trusted advisors who are well-positioned to embrace these forces, and work with you to adapt, evolve, and succeed. “NETFORCE” takes on today’s chaotic business environment and explores how top performers are navigating this great unknown to realize their true net force and accelerate forward.